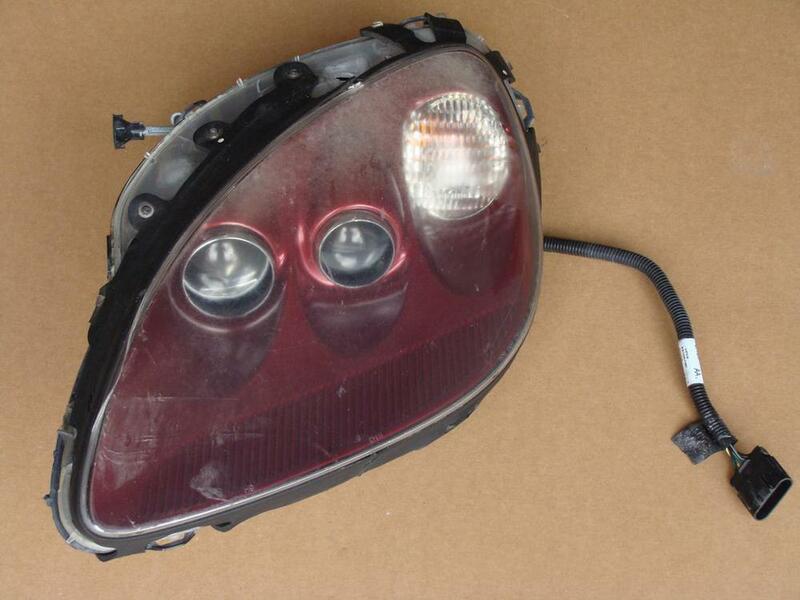 Damaged headlight assembly for 05-13 Corvettes. This is a LH (driver) side headlight assembly. It was removed from a vehicle that was Monterey Red (RPO 80U) in color. Healight has physical and cosmetic damage on the outside (see photos). Due to electrical problems with the vehicle, we were unable to test the headlight. It is being sold for parts.